The department stores of Paris are the ultimate one-stop shopping destinations and each one is stocked with a tempting array of choices. Discover which department stores best suit your style! 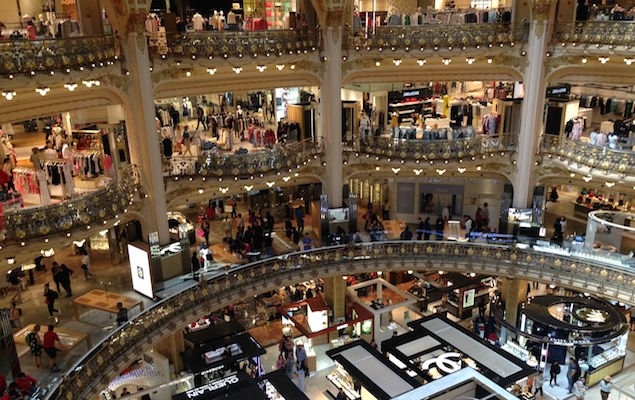 If you’re looking for a one-stop shopping spot, or a Parisian shopping extravaganza perfect for a rainy day, head to one of Paris’ famous department stores. Each one has a different style and feel, but one thing you can be sure of is a tempting array of choices! 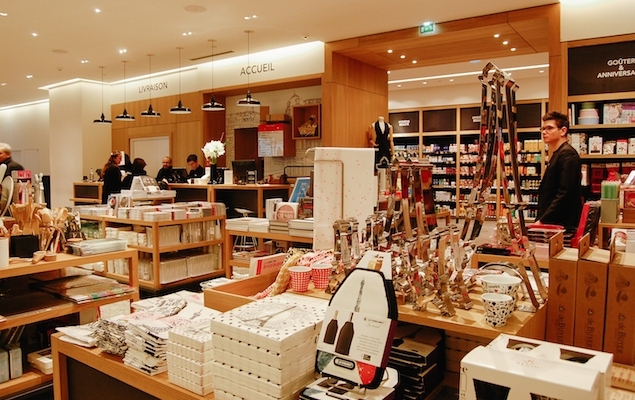 Here are the top Paris department stores you won’t want to miss during your stay in Paris. For general shopping, this is the place to start in Paris. 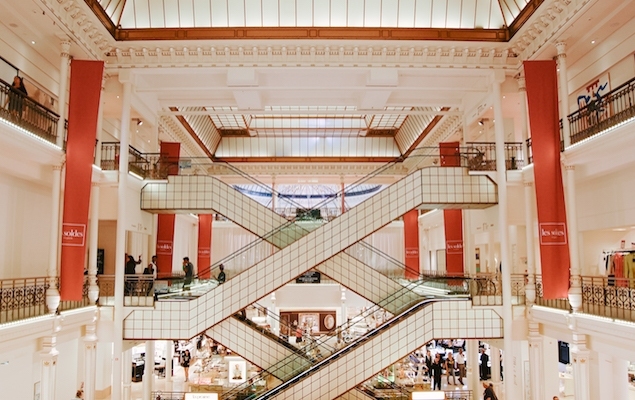 One of Paris’ most beautiful department stores, head to the center of the store for a stunning view of the glass dome and beautiful Art Nouveau design from 1912. If you’re looking for home décor, head to the Galeries Lafayette home store just across the street. Tax-free Shopping: For purchases at Galeries Lafayette over 175.01 Euros, non-European Union members are entitled to a tax refund. Consult this page for more information. Paris Perfect tip: Go to the Welcome Desk at the front store to show them your passport (or photocopy) and ask for their 10% discount card, which is good in all departments. A little discount never hurts! 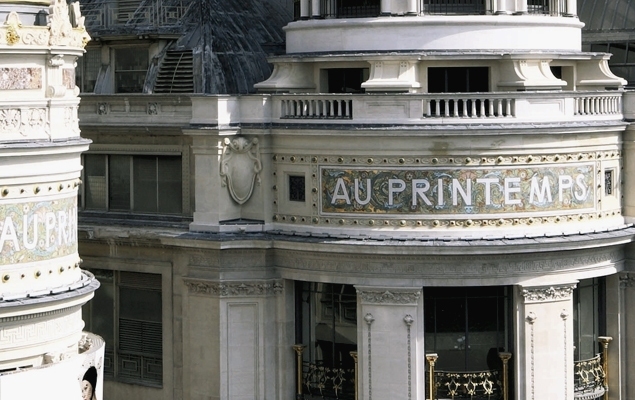 Located next to Galeries Lafayette, the shopping fun continues at Printemps. You’ll find more departments than in most U.S. department stores, and plenty to keep you shopping for a long time. Opening Hours: Mon to Sat: 9:35 am to 8:00 pm; Thur: Open until 8:45pm; Sundays 11am-7pm. 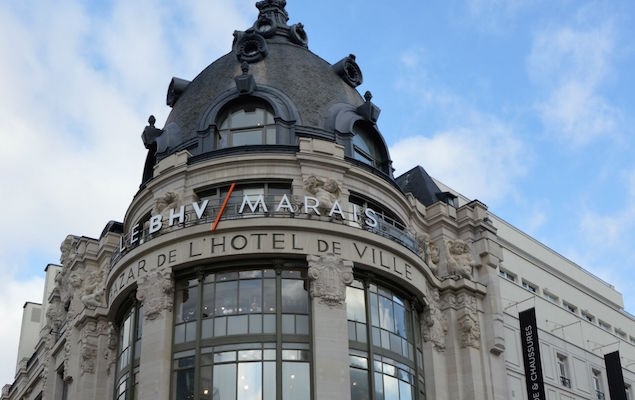 Located in the best areas to shop on the Left Bank, Le Bon Marché was the first department store in the world, and inspired Emile Zola's Au bonheur des dames (The Ladies' Paradise). 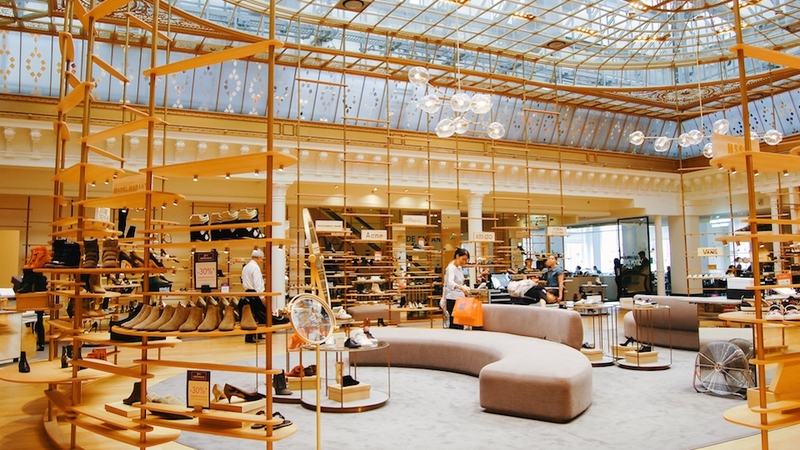 This upscale department store is located in the 7th arrondissement just a 20 minute walk from the Eiffel Tower and many of our Paris Perfect apartments. The store has been redone beautifully, and it’s a real gem! The fashion, whether home or personal, is cutting edge. With a hidden book store and café on the last floor everybody can find what suits them. It is the place to shop on the left bank. Opening Hours: Mon to Sat: 10 am to 8:00 pm; Thur: Open until 8:45pm; Sundays 11am-7:45pm. In the Area: The Latin Quarter, Musée d'Orsay, Cafe Les Deux Magots, Saint-Germain-des-Prés, Saint Sulpice and Montparnasse. This is the fabulous, gourmet food store just to the west of the main Le Bon Marché store, and you could easily spend hours here exploring the excellent foods – from French delicacies to exotic foods from all over the world. This is the perfect spot for finding gifts and surprises for food lovers back home. Opening Hours: Mon to Sat: 8:30 am to 9:00 pm; Sundays 10am to 8pm. Get inspired by taking a Cooking Class before you visit Le Grand Épicerie so you will be able to stock your fridge with the best produce for your newly learned recipes and be the chef in your very own Parisian home! This massive department store is located next to the Hôtel de Ville (the beautiful town hall) in the 4th arrondissement near the Seine River and to our Place Dauphine apartments. The basement of BHV is famous for its hardware store, with every kind of French do-it-yourself item you would ever want, including bags of corks for making your wine, and pigeon spikes to keep birds off railings. On the fifth floor they have really neat handles, knobs, and door knobs — a lot of the items are reasonably priced. If you are thinking of remodeling anything, it is worth going, but bring your patience as it is difficult to navigate your way around and is known for its slightly frosty ‘French Service’. The BHV is really great for those extra Christmas and other seasonal gifts. If you are visiting over the Holidays check out our section of Seasonal Tours and Activities that we have to offer. Opening Hours: Mon to Sat: 9:30 am to 8:00 pm; Sundays 11am to 8:00 pm.